Do you create any handmade wool items? Grab these totally FREE printable tags or labels for your felted, crocheted, knitted, hand spun yarns or other handmade wool items! 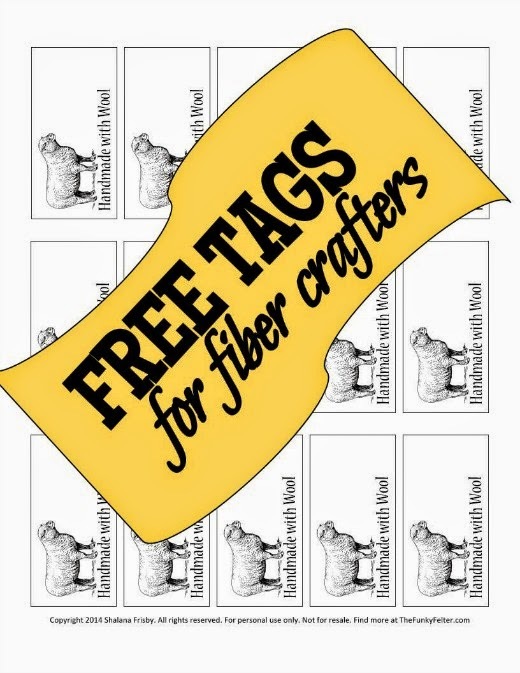 Printable tags especially for the fiber crafter or fiber lovin' maker of things. Whether you felt, crochet, knit, weave or spin, these "Handmade with Wool" tags have an adorable little sheep that will look fabulous on your hand crafted woolen gifts or craft show items. Simply click on the link below to download the printable tags file for your personal use. CLICK HERE to download my free "Handmade with Wool" tags printable. Thanks for sharing the printable tags. I just stumbled across your blog via Google+. I work on refinishing furniture but felting is a new hobby.